Inspired by the casual glamour of Mexico’s popular beach resorts, El Tropicano opened its doors in 1962 as an ode to sunny Acapulco. Hip and fashionable right from the start, “El Trop” was the first hotel located on the North Channel of San Antonio’s famed Riverwalk. 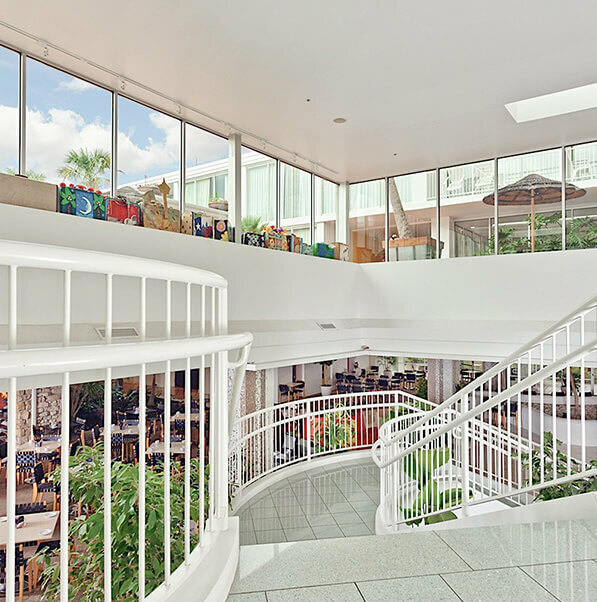 Over 50 years later, our iconic “Hotel to the Arts” remains a favorite in the local community for its retro lobby, elevated pool area with tiki bar, massive event space, and its outstanding amenities and accommodations. Our 3,000-square-foot fitness center has all of the equipment you’ll need to stay in shape during your San Antonio stay. 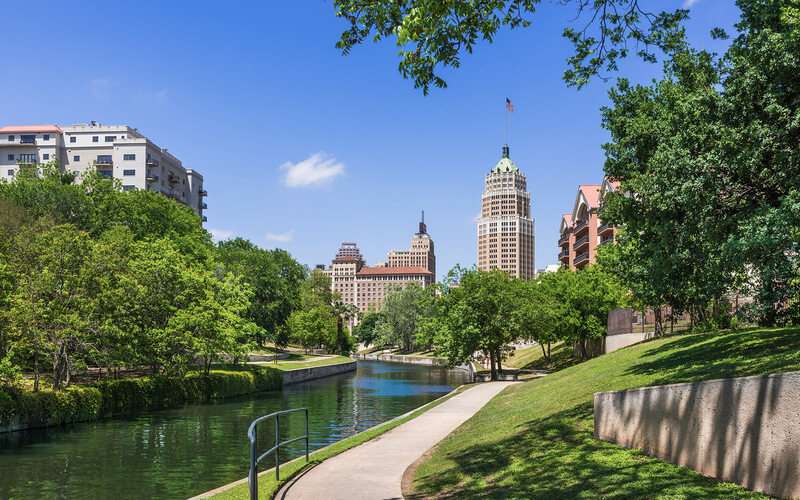 Our historic hotel is just steps from prime dining, shopping, art, and entertainment along the lively San Antonio Riverwalk. With free Wi-Fi throughout the hotel, it’s easy to upload vacation pics or stay in touch with family and friends. Soak in the sunshine, sip on a tropical drink, or simply enjoy the scenery from our elevated pool deck and tiki bar. After a day spent exploring the historic Alamo City or lounging poolside sipping tropical drinks, retreat to our Standard Queen Room for a sound night’s sleep. Enjoy plush bedding, free Wi-Fi, and blackout blinds for a dreamy San Antonio stay. Cozy up in a plush queen bed, use the free Wi-Fi, or veg out with new movies. This ADA accessible room features all the amenities of our Standard Queen Room, plus an accessible shower with luxury bath amenities. This spacious guest room features two double beds and plenty of room. Surf the Internet at the activity table, play games with family and friends, or watch your favorite shows on the 37" flat-screen TV. 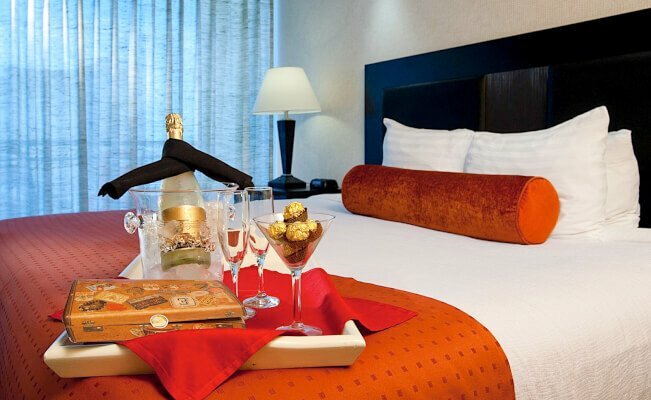 Enjoy a sound night’s sleep in our Standard King Room after a day spent exploring Alamo City’s iconic attractions along the San Antonio Riverwalk. Your elevated stay includes fine linens, plush pillows, luxury bath amenities, and free Wi-Fi. 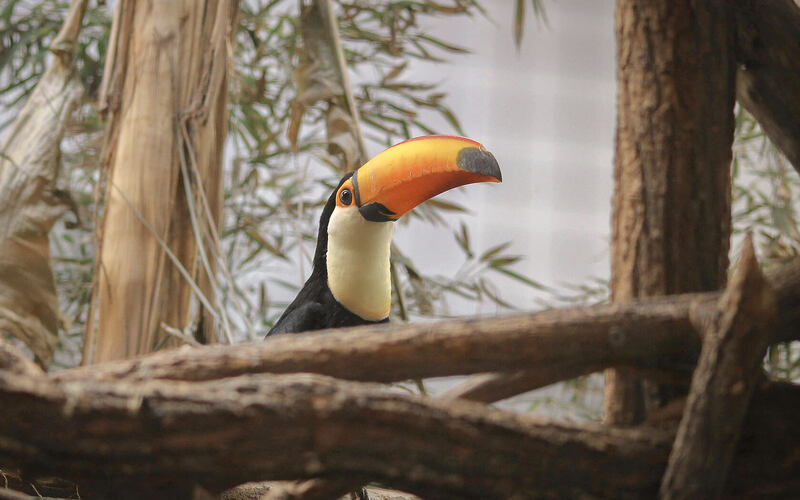 Savor a tropical retreat in downtown San Antonio. Our ADA accessible room with one king bed features all the amenities of our Standard King Room with plus an accessible shower with luxury bath amenities. The next best thing to poolside lounging is enjoying the view from inside this tropical room. 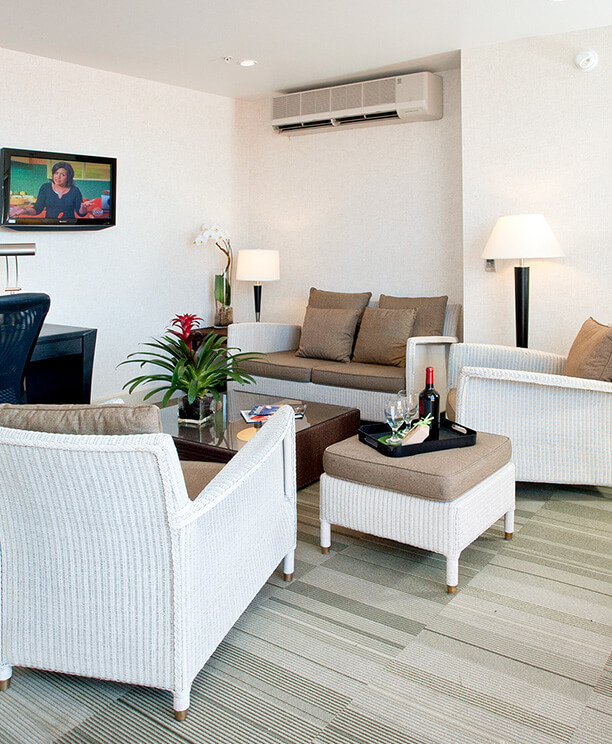 With plenty of space for family and friends, it’s easy to unwind and watch TV from the comfort of two cozy double beds. Relax and unwind in a spacious King Suite, complete with tropical accents, Acapulco-inspired decor, and a separate living room with sleeper sofa, for extra guests to join in on all the fun.